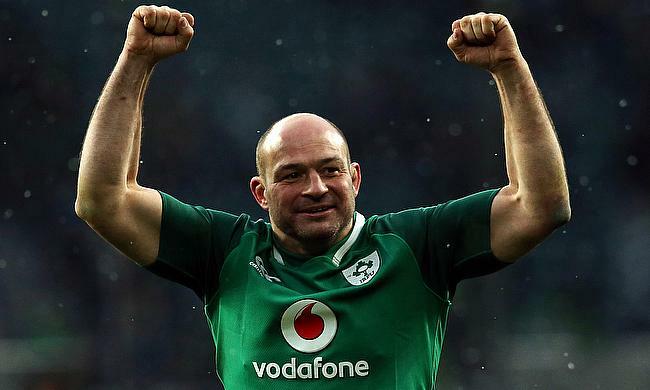 Irish Rugby Football Union has announced that skipper Rory Best and fullback Rob Kearney have penned new deals with the board. Both Best and Kearney are the only players from the 2017 Grand Slam winning Joe Schmidt's squad to have achieved a similar success of Grand Slam in 2009 and now will remain with the side until 2019 World Cup in Japan. Best made his Ireland debut in 2005 and has racked up 111 Test appearances since then. He took over the leadership of the national side two years back and since then Ireland registered their maiden win over New Zealand and also a victory of Springboks in South Africa for the first time. “I am in a very privileged position as captain of Ireland and Ulster to be involved with two groups of incredibly talented players,” said Best, who continues at Ulster as part of the deal. Meanwhile, Kearney has played 83 Tests for Ireland and three for British and Irish Lions and has been an integral part of the side starting in all the games in 2018. “I am delighted to have extended my IRFU contract and look forward to continuing to achieve with this Ireland squad,” the Leinster double British and Irish Lions tourist said.